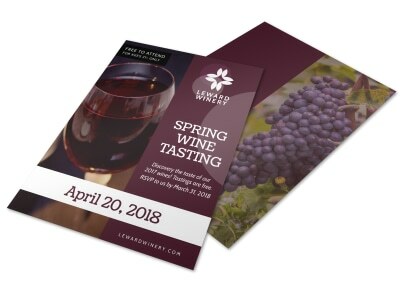 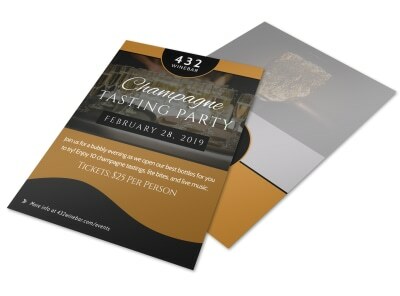 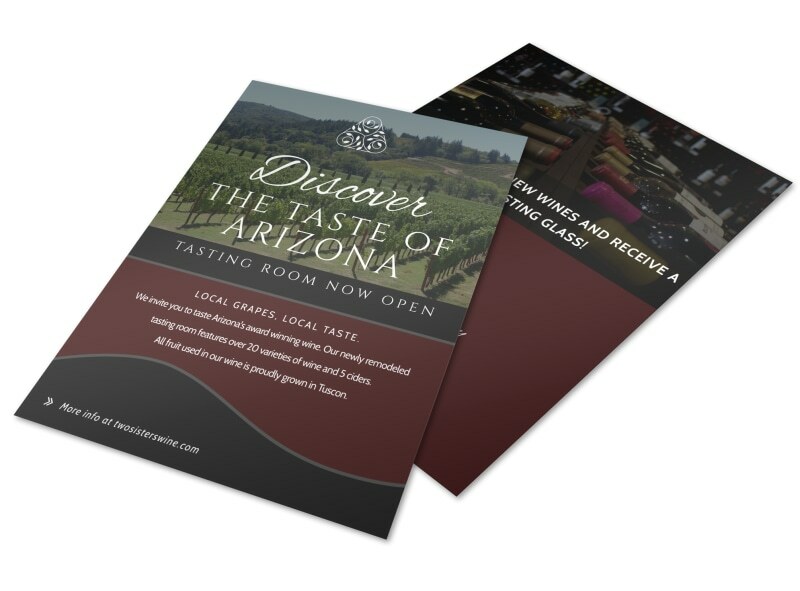 Customize our Arizona Wine Tasting Flyer Template and more! 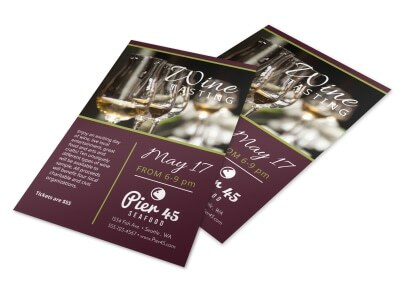 Capture the attention of local wine enthusiasts with this Arizona wine tasting flyer detailing the four-one-one on an upcoming wine tasting event. 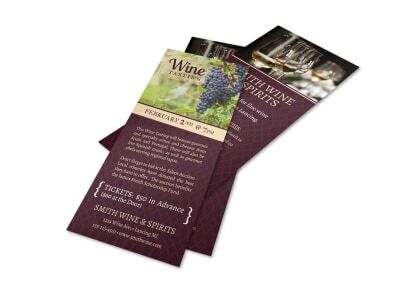 Customize a template with your preferred colors, fonts, images, text, and more. 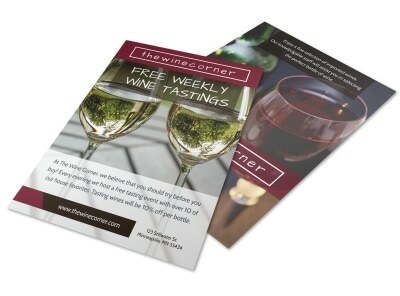 Print your flyer using our expert printing services, or print from your own location for instant access.